The manufacturer refurbished first generation Canon G9 X went and continues to go for $250 at the Canon USA Outlet but as of the time of writing, both color schemes are out of stock and cannot be ordered. … Adorama has the Canon G9X II bundled with the Pixma PRO 100 printer and 50pk SG-201 photo paper for $329 after a $350 mail-in rebate (prepaid AMEX gift card) in the black G9X II color scheme or the the silver G9X II color scheme. Both are in-stock as of the time of writing. If you are interested in both MIRs and Canon DSLRs, check our previous mail-in rebates posts for details. We zoom back on the eBAY DEALS where the BuyDIG eBAY store strikes again, offering the manufacturer refurbished Nikon Coolpix A900 (35x optical zoom) for $190 with free shipping and a 90-day Nikon USA warranty. Limit up to five cameras per eBAY user during sale. Over 300 of them have been sold through this listing per the eBay page over there. In new condition at authorized Nikon dealers, this goes for $379 such as Amazon itself and Adorama and B&H Photo. Fuji is not the only one making instant cameras in their surprise renaissance, the Polaroid naming rights owners are too and still-surviving the retail apocalypse JC Penney is offering the black color scheme of the Polaroid PIC-300 Instant Camera for $50 with free store pickup (where available/possible) or with free shipping (on all orders over $49). They managed to outprice everyone, B&H Photo has it for $60, Amazon for $70. But JC Penney doesn’t have the instant film for it on sale (the razor/blade thing?). They charge $15 for 10 exposures or $22 for 20 exposures. You can get 20 exposures (two 10-packs) for $18 by Amazon itself (limit two) and at B&H Photo, but free shipping is conditional. At Amazon, you have to be a Prime member or place a $25+ order. At B&H, you need a $49+ order. Adorama offers it for $20 with free shipping without a minimum purchase requirement. You can relive the superzoom history thanks to used sales! The Panasonic FZ50 superzoom (12x optical) is available in “Used – Very Good” condition with a detailed description and a couple of pictures of the actual item at Amazon Warehouse Deals. It is eligible for the 20% off in-cart discount which drops its price from $110~ to $88~, sold and shipped by Amazon Warehouse Deals itself (3rd-party sellers are not eligible for the in-cart discount). The Canon Elph 360 HS dropped from $130 to $100 in manufacturer refurbished condition at the official Canon store in silver or black [purple sold out] with a 1-year Canon USA warranty. The new condition price dropped from $200 to $180. … the Canon USA outlet store is offering it in manufacturer refurbished condition for $140 with free shipping and a 1-year warranty. You can buy three refurbished for the price of two new condition, and still have $40 to spare! It is in-stock as of the time of writing. I am writing this because some of the refurbished Canons go out of stock and can be hard to spot because only a tiny bit changes on their product page. Zooming Temptation! If I could stop time, I would organize all the Fuji Instax deals in a single post, but the deals keep on flowing, no time to stop! You can find all the latest Instax related offers under the Fuji category. Which brings us to another Instanx sale, the new condition Fujifilm Instax Mini 26 + Rainbow Film Bundle is on sale for $50 with free shipping by Amazon itself. The white color scheme is in-stock, the other two are “temporarily out of stock”. Limit up to three per color. After this post, I am digging into the Lightning Deals which I haven’t checked in six hours! The new condition Fujifilm instax mini 9 Instant Film is on sale for $50 with free shipping and with ten free exposures until Black Friday at 4:30pm ET at B&H Photo. That’s when B&H stops taking orders for their usual Friday PM to Saturday PM Sabbath closing. So if you are planning B&H Black Friday purchases, don’t wait until late in the day! The same price is available at Amazon by Amazon itself but no free exposures. Yesterday it was going for $100 but today it dropped another $10 going for $90 with free shipping until Friday night, it is the new condition Fujifilm Instax Mini 90 Neo Classic bundled with ten free exposures at B&H Photo. 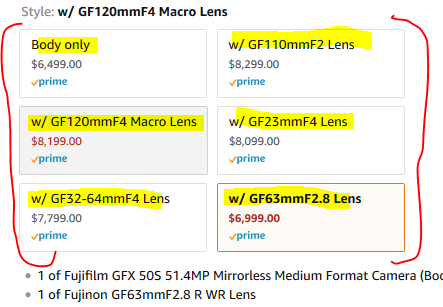 The same price is at Amazon but no free exposures. The Canon SX530 HS superzoom (50x optical) is down from $279 to $229 with free shipping and free accessories at Adorama (free camera case, 16GB card, cleaning kit). As of a 11/26/17 AM recheck, the used options have sold out…. The Panasonic FZ80 superzoom (60x optical) is on sale for $348 with free shipping at authorized dealers such as B&H Photo and Adorama and Amazon itself [corrected link]. You can optionally triple the original 1-year warranty by filing paperwork with Panasonica. The new condition Fujifilm INSTAX Mini 90 Neo Classic Instant Camera is now on sale for $100 with free expedited shipping at B&H Photo which includes a free 10-exposure film. That’s the main listing. When you look at the other sub-tabs, there are more film combos for just a few dollars more. This also goes for $100 with free S&H at Amazon by Amazon itself (limit up to three per camera color) but there’s no free film there. The new condition Canon Elph 190 IS goes for $150 at authorized dealers such as Amazon but if you want to almost cut the price in half, you can get it as manufacturer refurbished for $80 with a 1-year warranty from the official Canon USA outlet store. It is available in red, black or blue at this price! Speaking of Elves, in addition to Amazon developing a very expensive Lord of the Rings TV series, the manufacturer refurbished Elph 180 silver continues to be available for $50 (this does not have IS). The Canon Elph 360 HS goes for $200 in new condition at authorized dealers (eg Amazon) but if you want to save some and still get a 1-year warranty, you can get it for $130 with free shipping at as manufacturer refurbished for $130 in silver, purple, or black. Canon abandoned their once storied G-series of RAWsumers, but thankfully the grown-ups prevailed and the G-series was brought back bigger and stronger! The new flagship of the G-series is the G1X III with an APS-C sensor, and it is now in-stock and ready to ship at its starting price of $1300 at B&H Photo with free expedited shipping! B&H Photo is out of the gate first, Amazon’s estimate is November 30, and Adorama is in pre-order status. The problem with the Canon Outlet specials is that sometimes they sell out really fast, but thankfully we managed to catch one of the two colors of the Canon G9X RAWsumer still in-stock, the brown/silver color scheme of the manufacturer refurbished Canon G9X for $250 with free shipping and a 1-year warranty. The black color scheme is sold out. You also get a FREE color matching camera case and camera strap when you add the camera to the shopping cart. In new condition, this went for $400 when I posted the RAWsumer price chart a couple of weeks ago and still goes for that price at B&H Photo (with extras) and Amazon itself. Nom-Nom Elph appetizer! The red color scheme is already sold out, but you can get the silver color scheme of the Canon Elph 180 P&S digital camera in manufacturer refurbished condition with a 1-year Canon USA warranty and free shipping! If you love red superzoom digital cameras, the red manufacturer refurbished Canon SX 710 HS with a 30X optical zoom and a 1-year Canon USA warranty and a free 8GB SD card goes for $150 with free shipping at the Canon USA outlet store. It is in-stock as of the time of writing. This too is one of their Pre-Black-Friday Sale items. CORRECTION: the blog-post title said Mark IV instead of Mark V! This post is for the Mark V! All apologies for the confusion! The Sony RX100 Mark V is the current “leader” of the RX 100 series and it was going for $1000 a couple of weeks ago when I posted the Fixed Lens Cameras Price Charts. And now it is time for our weekly medium format post 🙂 The new condition Fuji GFX-50S medium format body only goes for $6500 but if you want a “take pictures with” kit, thanks to Fuji’s current round of instant savings, you can get it with the GF 63mm f2.8 together for $7000 at Amazon by Amazon itself. The Fujifilm Instax Mini 26 with the Rainbow Film Bundle is on sale for $55 with free shipping at Amazon by Amazon itself with a limit up of to three per customer. This is available in the White and White/Blue color schemes. It averages 4.5 out of 5 based on 420+ customer reviews and has 50+ answered questions. We have yet another Panasonic camera that got discounted since last week. The Panasonic ZS100 superzom went for $700 last week when I posted the Fixed Lens Cameras price chart but now it is down t o $598 at authorized dealers which also include free accessories or promotional rewards such as Adorama and B&H Photo and various at Amazon. The Sony RX1 and RX1R 35mm full frame fixed lens cameras are starting to disappear from retailers. 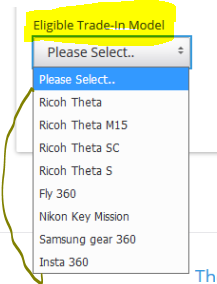 Both are gone from Adorama (RX1R and RX1R), while at B&H Photo both cameras are marked as “Special Order” (2-4 weeks) for both the RX1 and the RX1R. As of the time of writing, both the RX1 and the RX1R remain readily available at Amazon but each camera has a limit of up to three per customer. The price remains at $2400 as you can see at the Fixed Lens Cameras charts of last week. Of course the used cameras won’t magically disappear. You can get it used for less than half the price, it is available in “USED – Bargain” condition for $1199 at KEH Camera with a 180-day warranty from KEH Camera. The Panasonic LX100 rawsumer was going for $800 last week [see Fixed Lens Cameras Price charts] but this week it is down to $998 with free shipping at authorized dealers. Better yet, at Adorama you get a $100 Adorama gift certificate with it, while still paying $998. At B&H Photo you get a free 32GB Extreme SD and camera bag, while Amazon itself gets you 5% in statement credit if paid with Prime VISA. Meanwhile the Panasonic FZ1000 superzoom is also getting discounted, going from $800 to $700 with free accessories at Adorama and B&H Photo and Amazon (no freebies). The Panasonic LX100 rawsumer was going for $800 last week [see Fixed Lens Cameras Price charts] but this week it is down to $648 with free shipping at Adorama (with free accessories or 4% promotional rewards) and at B&H Photo (likewise with free accessories or 4% promotional rewards) and at Amazon itself (no freebies but 5% rewards with Prime VISA purchases). There are many and more superzoom options out there these days. If it is the Panasonic ZS50 travel-zoom (30X optical) the one you want, it is currently on sale in new condition for $279 with free shipping at Amazon by Amazon itself (limit 3 per customer) and at B&H Photo. The Sigma dp1 Quattro Digital Camera on its own goes for $1000, but at the moment B&H Photo is including the LVF-01 Viewfinder Kit for FREE, in other words, you pay the same price of $999. Note that these are “Special Orders” so it will take 7-14 business days for them to get to you. The Panasonic FZ2500 superzoom with RAW goes for $1200 in new condition at authorized dealers, but for a limited time, B&H Photo and Adorama are bundling a $100 gift card of their own with the camera. In other words, if you buy from B&H, you get a $100 B&H gift card. If you buy from Adorama, you get a $100 Adorama gift card. Optionally you can triple the original 1-year warranty by filing with Panasonic. Details at each retailer above. The price checking continues for RAWsumer cameras. The new condition Fuji X70 goes for $700 at authorized dealers, but if you are comfortable with used, you can get it in “Used – Excellent condition” for $499 plus shipping and with a 90-day Adorama warranty at Adorama along with a 30-day return policy. The Canon G5X RAWsumer goes for $729 in new condition at authorized dealers such as Amazon and Adorama, but if you are not afraid of mail-in rebates, you can actually get it for a LOWER price after mail-in rebate! At B&H Photo they are bundling the Canon G5 X with the PIXMA PRO 100 printer and 50pk Canon SG-201 printer. You pay $999 at checkout, receive the order, submit the mail-in rebate, and if all is well, a few weeks later you receive a $350 prepaid American Express gift card by mail, making it a $650 after $350 MIR. So you pay $79 less, and you get a free printer and photo paper. As long as you are willing to do the mail-in rebate song and dance. For $29 more (after mail-in rebate) than their current price, the following Canon G-series RAWsumers can be yours bundled with the Pixma PRO 100 printer and 50pk Canon SG-201 photo paper at B&H Photo. You pay full price, submit the mail-in rebate, receive a $350 prepaid AMEX gift card, and after you factor in the value of the AMEX gift card, you end up paying $29 more for the Printer and Paper combo. Price checking is under way now for the final installment in our November 2017 Camera Price Charts series. We are now price-checking Serious Fixed Lens Cameras with RAW! … then to B&H Photo we go where you can get either the black or brown color scheme of the G9X along with the Pixma PRO 100 printer and the 50pk Canon SG-201 printer for $399 plus shipping (around $10) after a $350 mail-in rebate (prepaid AMEX gift card). You also get 2% promotional rewards (I believe that’s on the pre-rebate amount, so it’s 2% on either $750 or $400). Fixed lens basic P&S cameras have not completely disappeared! They sometimes go on sale even! Such as the new condition Nikon Coolpix A10 (5x optical) is on sale for $87 with free shipping at Amazon by Amazon itself. Limit up to three units per customer at the sale price. Ironically perhaps, instant cameras are not afraid of smartphones replacing them. Which brings us to another sale. The new condition Fujifilm Instax Mini 26 with a Rainbow Film included (10 exposures) is on sale for $55 with free shipping at Amazon by Amazon itself. There are four colors of this camera available. Limit up to three units per color per customer. The different colors can be handy if you are giving them to kids (of all ages) that want a quick way to be able to tell their camera apart from the rest. It averages 4.5 out of 5 based on 420+ customer reviews. The manufacturer refurbished Nikon Coolpix A900 fixed lens camera is bundled with a case, and it comes with a 90-day Nikon USA warranty, going for $230 with free shipping at the BuyDig website until 11/6/17 or earlier if sold out. Despite the name, this does not have RAW, but it has a 35x optical zoom lens. Doorbuster time at the official Canon USA store. They are offering the manufactured refurbished Canon SX710 HS superzoom (30x optical zoom) in the RED color scheme for $150 with free shipping and a 1-year Canon USA warranty and a FREE Deluxe Soft Case PSC-3300. If you are not afraid of mail-in rebates and prepaid American Express gift cards, Adorama has a new promotion for you! Select Canon camera bundles include the Canon Pixma PRO 100 printer and 50pk photo paper. After you receive them and file the mail-in rebate per directions, a few weeks later you will receive a $350 prepaid AMEX gift card by mail. This will counter the price of the printer/paper, thus making them free after mail-in rebate. Eligible cameras for this promotion are the M6 mirrorless, a couple of G-series RAWsumers, various D-Rebel kits (T6, T6i, T6, T5i), various APS-C DSLR kits (80D, 7D II), and various 35mm full frame DSLR kits (5DS, 6D II, 6D, 5D IV). The update of the Fuji X100F segment of the Stock Status Tracker shows a steady stock at the original price of $1300 in new condition at authorized dealers, while in USED condition, the lowest price by Amazon Warehouse Deals itself is $1125 in the silver color scheme, while the lowest price by 3rd-party sellers fulfilled by Amazon is $1100 in the black color scheme. For a lot more used options from a variety of sellers [be sure to thoroughly research them if you are not familiar with them] check the eBay Search Results.